If you hate to play chess, you wouldn't be here in the first place. So, we'll assume you do want to try the game or you already love it. Why wait? 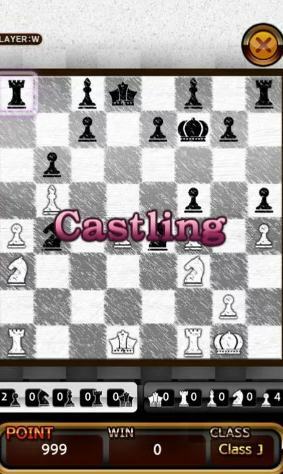 Try these amazing chess games for Android! Get them installed on your device and love playing what you like on-the-go along with some unique set of features that you won't find while playing it in the real world. And, turn into a professional easily! Checkmate! That’s what I love to say at the end of the game. Well, I’m not a professional chess player, but I do love the vibe for it. If we talk about physical chess board sets, there are a lot of attractive deals out there. 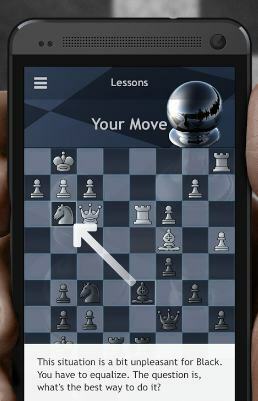 However, here, we want to enjoy the best chess games for Android. 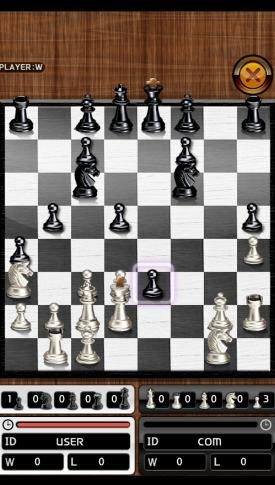 So, we’re taking up the duty to pick out the best chess games for Android that you could play and easily become a professional chess player (nothing’s impossible!). 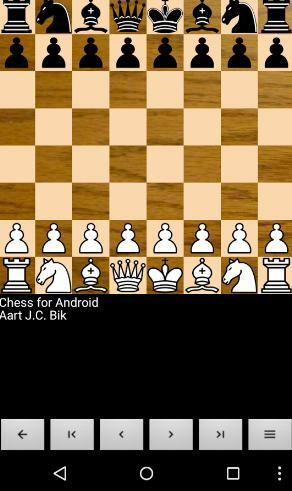 Without taking much of your time, let’s hop on to check out the best chess games available for Android that we have hand-picked for you! 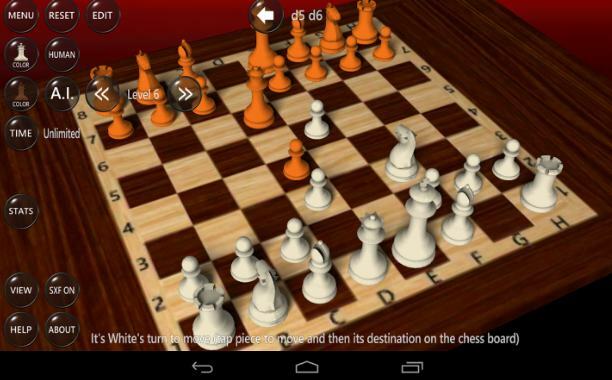 It’s one of the most popular chess games for Android. 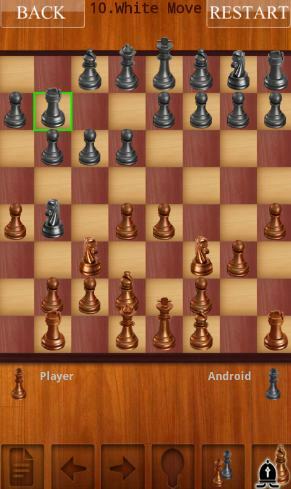 Although, when I thought of trying a chess game on Android, I stumbled upon this one first. Especially relevant, the user interface offered is pretty simple and not distracting. However, as the name suggests, it’s a free version which comes with in-app advertisements. Fret not, there’s a pro version offered to get rid of the advertisements. It provides 12 different levels which range from Novice to Expert. You’ll also get a Chess tutor and hence, prompted with recommended moves. However, this would help a beginner understand the strategies. Furthermore, you can play with your friend as well. It also offers you to save the game file keeping your progress. It would probably help when you’re moving on to a new device and you don’t want to sign in through the Google account. In addition, if you are signing in using your Google+ account, it would sync your data. You would be able to track several achievements and ranking as well. However, if you don’t like the default chess board or the chess piece sets, you get the ability to choose from 7-8 varieties. If you want a redefined chess game, this is for you. Especially relevant, the game offers a 3D experience. It feels more interactive than the 2D gameplay because it seems to be more realistic. Also, after switching from a 2D experience to the 3D experience, you won’t find the chess game as a “boring” game. Of course, if you already love playing chess, you can adapt to any user interface offered. Players normally look out for a game which offers a good difficulty level. As mentioned by the developers, the AI has been programmed with 2400 levels of difficulty. So, it won’t be easy enough to beat. It offers a matchmaking feature which would put you for an online competition with another user across the world. Hence, this would prove better and difficult. It’s preferable if you play online when you have a pretty good command over powerful strategies used to win. It’s because you can’t always predict the move of a human player. It’s a quite light app with limited functionality. It’s not much of an attention grabber considering the UI and the features offered. However, it does support importing/exporting of your saved game files. In addition, it does offer the strategy coach to help you with the moves. 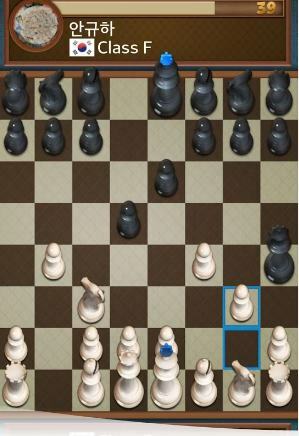 It’s an absolutely free chess game for Android. However, the sad part is, it doesn’t offer in-app purchases to get rid of the annoying ads while connected to the Internet. Apart from the advertisements, the game proves to provide a good 3D chess experience with quite impressive animations implemented. 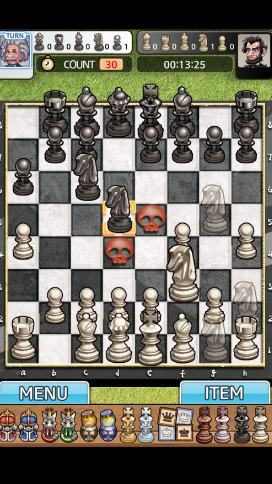 This game offers a variety of gorgeous chess board theme which wouldn’t let you feel that 2D chess is boring ever. As the name suggests, it lets you play and helps learning at the same time. The game offers a variety of tactics, videos, and lessons. You can even analyze your past games in order to learn from your mistakes. Furthermore, it provides interesting puzzles to solve and get prepared for different types of situations in the game. It’s a very simple chess game. Hence, there are no lessons here, nor an automated coach. It offers a single player mode, 2-player mode and the online gameplay option. However, one can take help of the hints available. If you’re in for a pretty normal game you can try it out. In addition, if you want a higher difficulty level and more strategies to learn, this wouldn’t be enough. 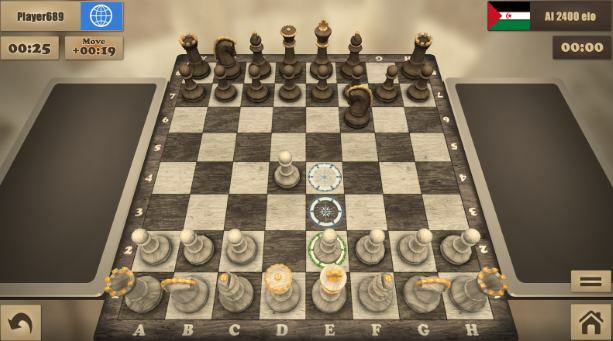 It’s the most expensive chess game available for Android. However, it’s mostly useful for the newbie players. It takes you through the nitty-gritty details of what a single piece in the chess actually means. Prince Kaspar would walk you through that. Furthermore, you’ll get to learn different strategies and you will face the pirate for a game. 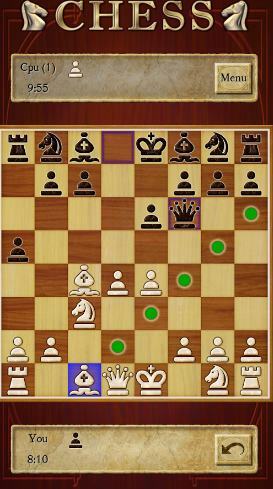 It’s yet another compact chess game available on the Play Store. Although the user interface is quite fine and the game works as expected, the game doesn’t offer lessons or strategies. However, you won’t learn anything new on it. But, one would get a good multiplayer experience and the players available for the matchmaking process are good enough to have it installed. The user interface offered is pretty good here. Also, the app offers a multiplayer game mode. The sound effects implemented are appreciable and feels real. However, you can give it a try. The chess board environment here seems to be kind of you get with Clash of Clans. Well, not exactly, but the greenery present reminds me of that. However, this game offers some innovate chess pieces (unique designs though) and it looks good as well. Especially relevant, it feels quite different to play. In addition, it introduces a tournament mode which would normally be selected among 30 players and you would probably find it quite exciting because there’s probably no other game offering a tournament mode. First of all, it comes from the developer of the ever-popular Dr. Driving game. If you have tried Dr. Driving, then you must be aware of the quality of graphics the developer team has worked on. In addition, it seems that the user interface is definitely impressive and you’ll love playing it. 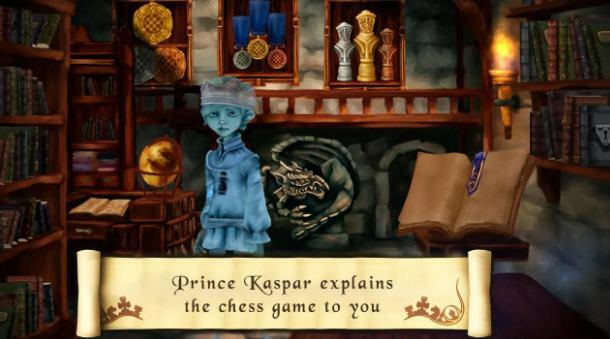 Finally, we’ve got to know about the best chess games for Android. However, there’s a lot of chess games out there. 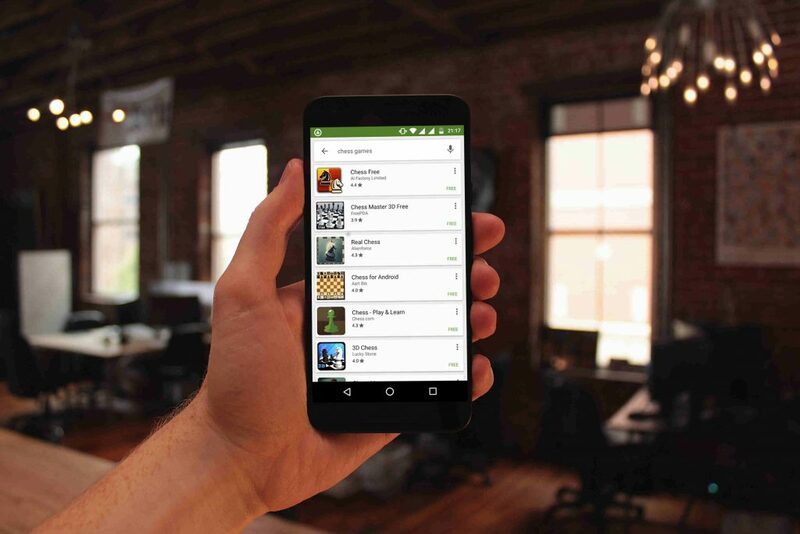 Did we miss any of your favorite chess games for Android? Let us know through the comments section below.